Hosting a masquerade ball and need the perfect wording? You've come to the right place to find sample text for your custom invite cards. Here you will find sample wording for Mardi Gras Invitations, Mardi Gras Party Invitation, Carnival Invitations, Carnival Party Invitations and Fat Tuesday Celebrations. 8:00 p.m. - who cares when? 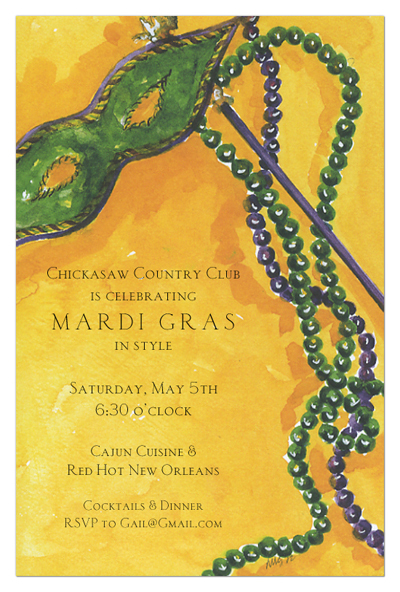 Mardi Gras Celebration awaits you! Party starts at 8:00 p.m.